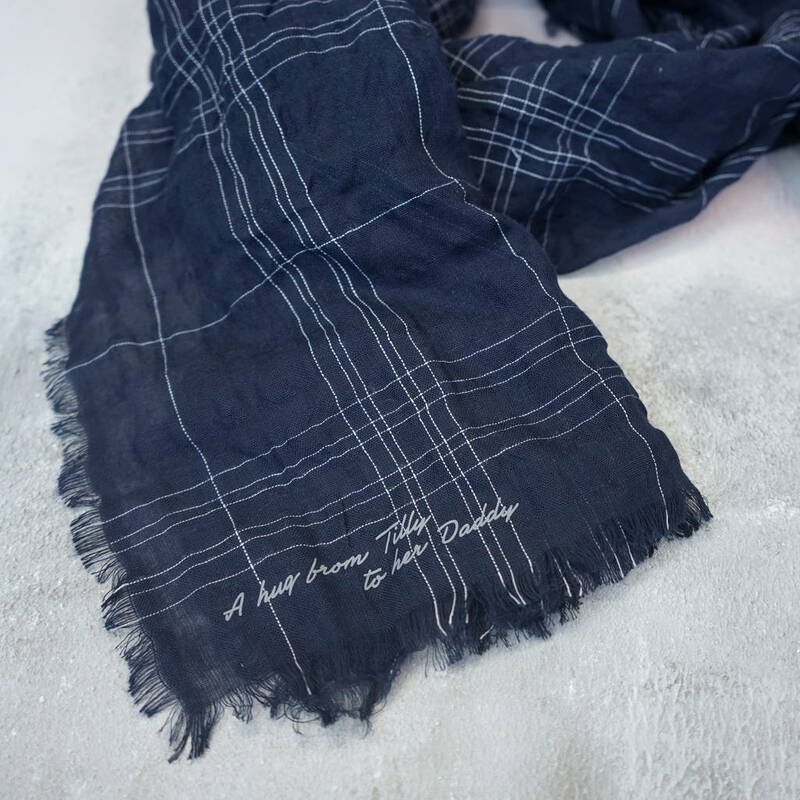 Our hug from me to you men's scarf is the perfect gift for proud Dads. 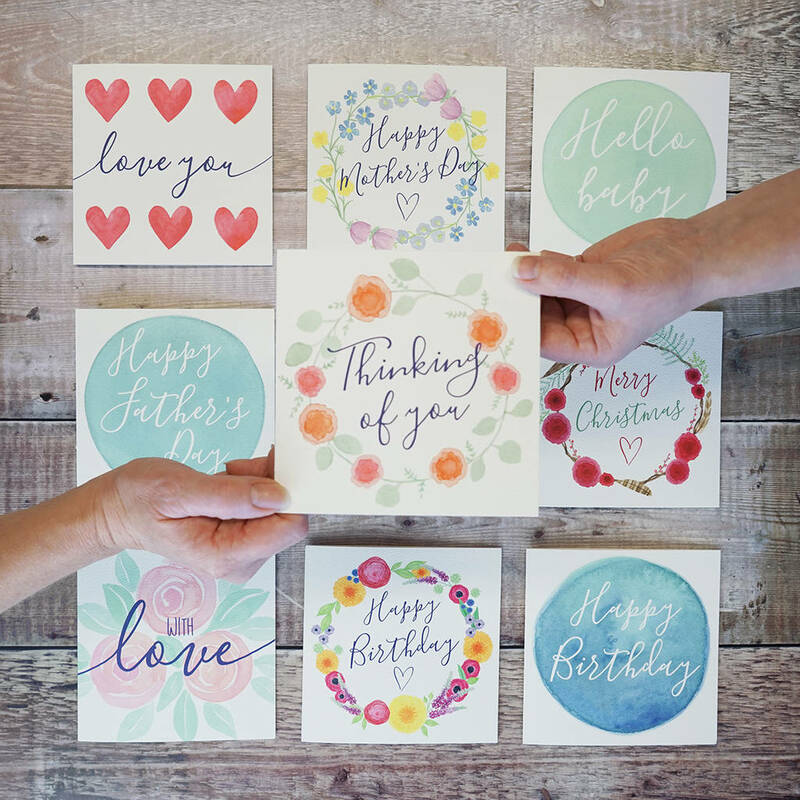 The indigo scarf can be personalised with any message for example, 'A hug from Tilly to her Daddy', 'Happy Father's Day Daddy' or 'Happy Birthday Dad'. 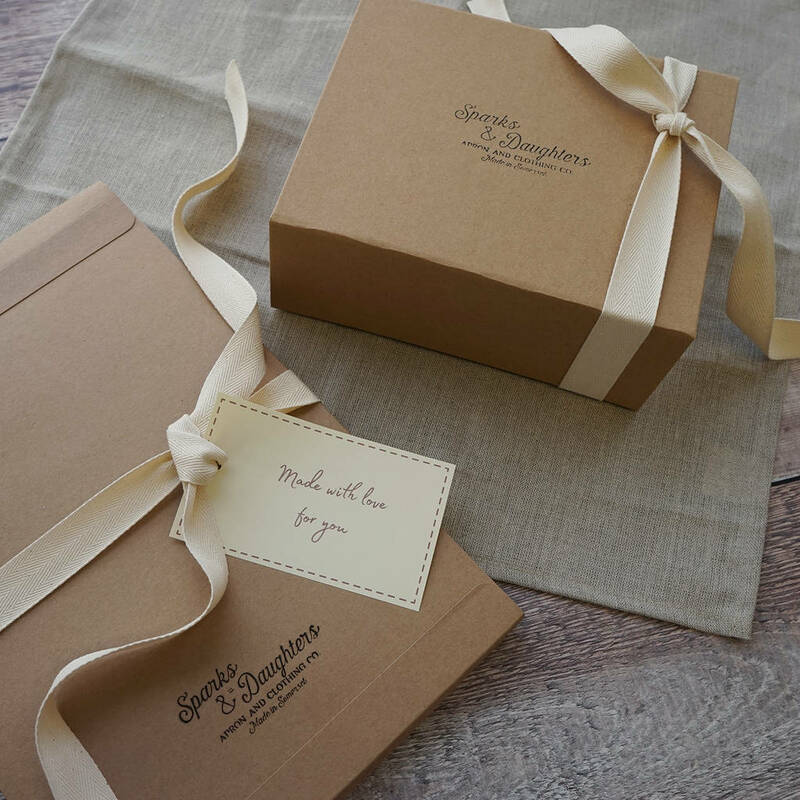 What better way to show him how much you care than with this bespoke and stylish gift. 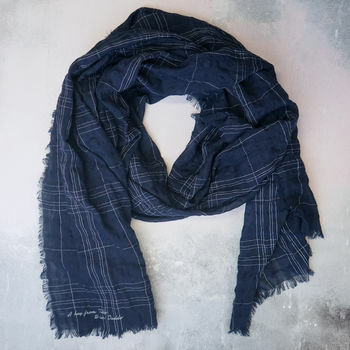 The scarf is 100% cotton so soft and light weight enough to be worn year-round and features a subtle check pattern in white stitched detail. 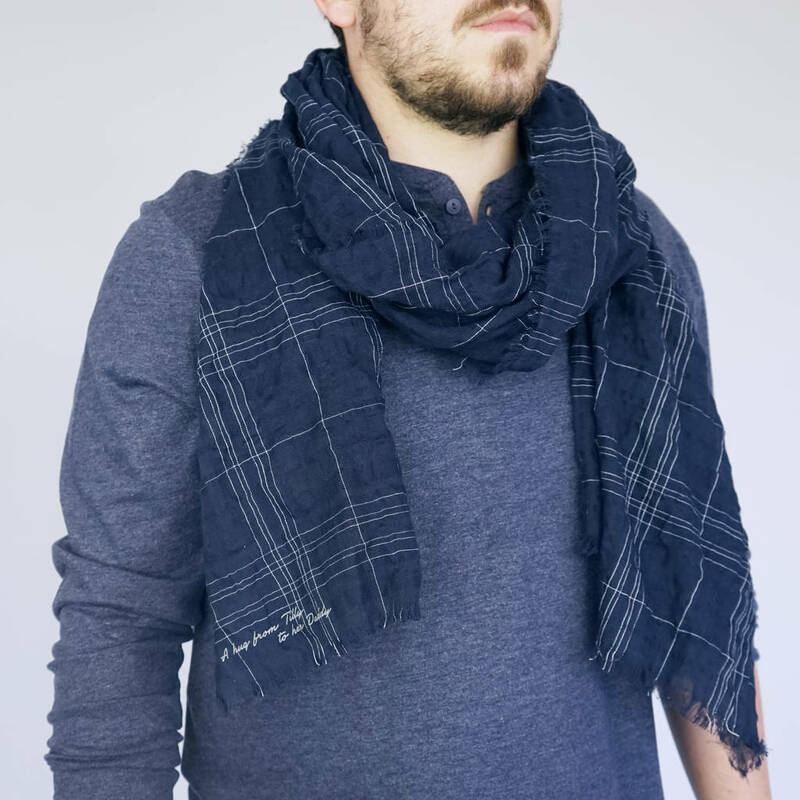 There is a choice of print colours to compliment or contrast with the scarf, the main photo shows the grey print.